We also Service the areas listed below. Battles Wharf, Bay Minette, Bayou La Batre, Belforest, Belle Fontaine, Bon Secour, Central Baldwin, Chickasaw, Chunchula, Citronelle, Coden, Creola, Daphne, Dauphin Island, East Baldwin, Eastern Shore, Eight Mile, Elberta, Fairhope, Foley, Fort Morgan, Grand Bay, Gulf Shores, Irvington, Kushla, Loxley, Magnolia Springs, Malbis, Mobile, Mount Vernon, North Baldwin, Ono Island, Orange Beach, Oyster Bay, Perdido Beach, Point Clear, Prichard, Robertsdale, Seminole, Semmes, Silverhill, South Baldwin, Southwest Baldwin, Spanish Fort, St. Elmo, Stapleton, Stockton, Summerdale, Theodore, Tillmans Corner, Wolf Bay. Looking for a Plumber in Dauphin Island AL. 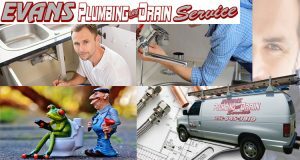 For over 16 years Evans plumbing and drain service has been dealing with residential and commercial plumbing needs in Dauphin Island AL. Not all plumbing companies can guarantee 24/7 service, superior workmanship and parts, licensed and insured experts, and courteous support from our trained professionals. There’s a reason they call Evans Plumbing and drain service. Whether you want drain cleaning or need to schedule a plumbing inspection for your home, Evans Plumbing wants to assist. Our skilled plumbers are knowledgeable and equipped with the most up to date tools needed to achieve optimal results. Call us Today at 251-645-3810 if you require any one of the services below. We also Service the areas listed below. Battles Wharf, Bay Minette, Bayou La Batre, Belforest, Belle Fontaine, Bon Secour, Central Baldwin, Chickasaw, Chunchula, Citronelle, Coden, Creola, Daphne, Dauphin Island, East Baldwin, Eastern Shore, Eight Mile, Elberta, Fairhope, Foley, Fort Morgan, Grand Bay, Gulf Shores, Irvington, Kushla, Loxley, Magnolia Springs, Malbis, Mobile, Mount Vernon, North Baldwin, Ono Island, Orange Beach, Oyster Bay, Perdido Beach, Point Clear, Prichard, Robertsdale, Seminole, Semmes, Silverhill, South Baldwin, Southwest Baldwin, Spanish Fort, St. Elmo, Stapleton, Stockton, Summerdale, Theodore, Tillmans Corner, Wolf Bay. © 2019 Evans Plumbing and Drain Service.